This story is the third part in a four-part series about our Halfsy Hero Korey Donahoo. Our series will follow Korey and three other heroes as they train for the 2017 Good Life Halfsy. “I can’t decide if it’s more awkward to pass people on the trail, or to be passed.” Korey Donahoo quips. While the weather has put a damper on his training, it certainly hasn’t rained on his spirit or his sense of humor. A bigger blow to his enthusiasm was the US soccer team’s failure to qualify for the World Cup. 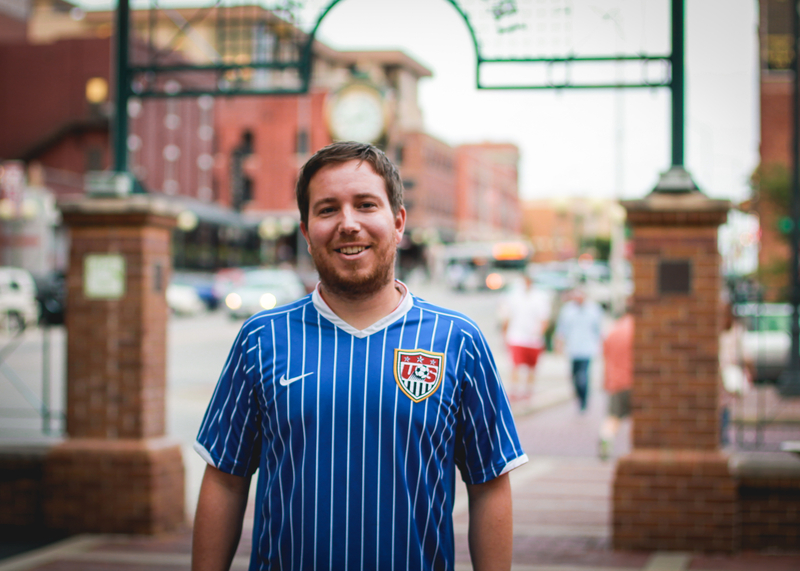 In the meantime, Korey is getting his fix by working to organize a soccer team with a few of the American Outlaws. And running hasn’t gotten easier with his training. While he may not feel like a natural, Korey has taken to running culture quite well. On October 29, Korey is going to finish what he started months ago. Will you be in the crowd to cheer him on? Check back for more Halfsy Hero stories, and to read the last installment of Korey’s story.